Files with the JPEG extension are convenient for sending pictures over the internet due to their lossy compression. JPEG is a means of reordering the image in a way that after only a small part of the image has been downloaded, a hazy view of the entire image is presented rather than a crisp part or just a small part. The degree the compression takes can be adjusted to achieve the desired trade-off between file sizes and visual quality. JPEG images can also be stored with a JPG extension. Compression to JPEG is used by quite some image file formats. 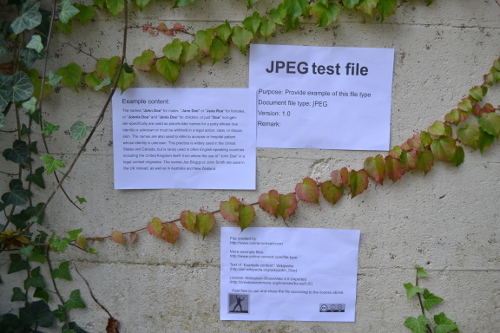 Files with the JPEG (together with Exif) are the most common format for image files used by various digital cameras and other image or photo capturing devices. They are also quite commonly stored with the JPG extension in comparison to the JPEG extension.